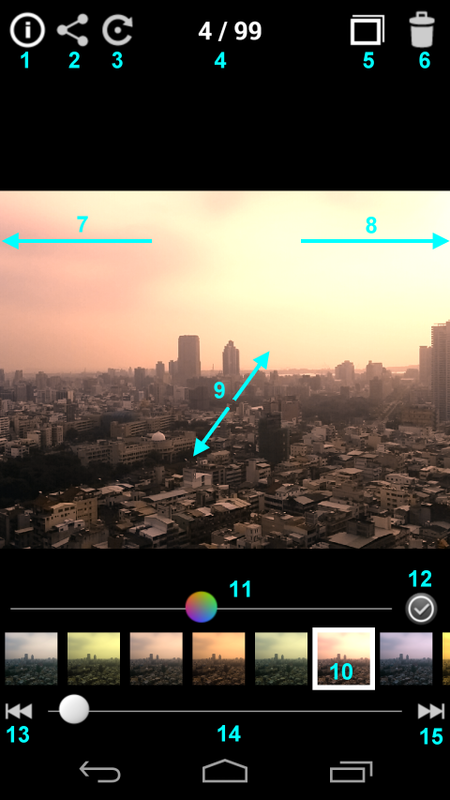 Infinite Shot: Full-screen camera, provide more operating options. 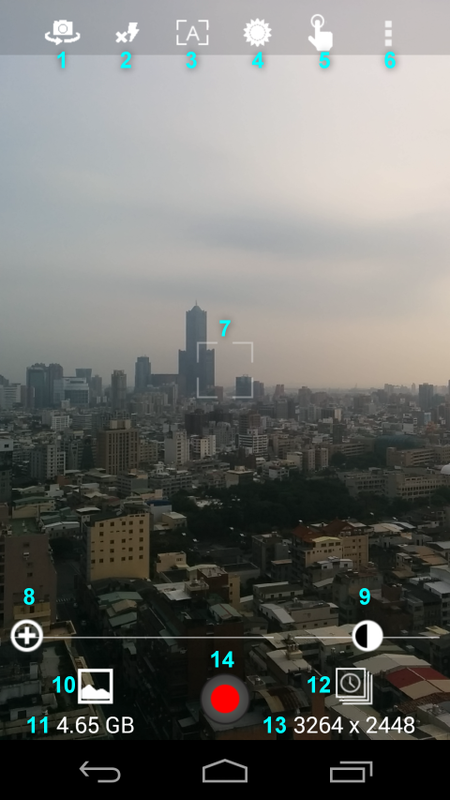 Infinite Snapshot: Background service. 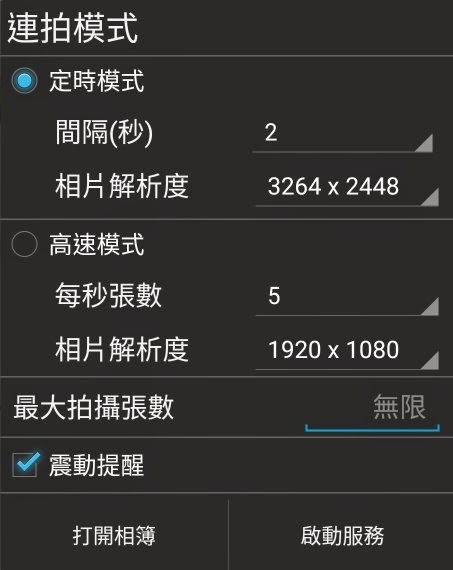 Even the screen is off, you can use volume button to start shooting. Volume up key: Start/Stop continuous shooting. Volume down key: Take single shot. Switching back and front camera. Flash: Auto' torch and off. Default is off. 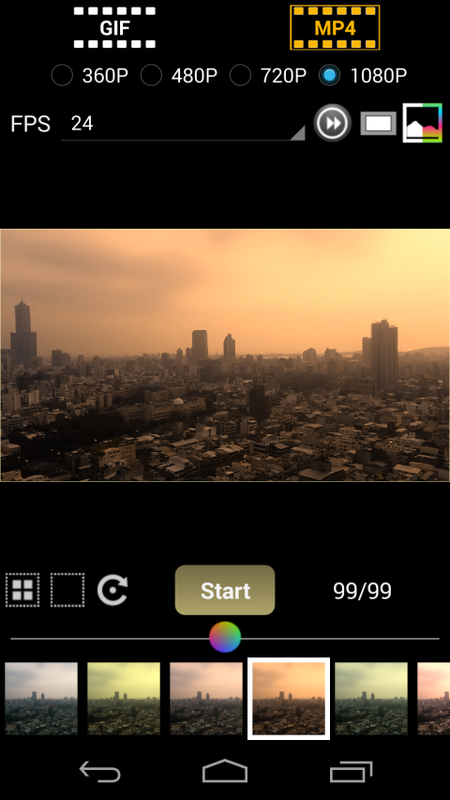 Auto or Manual Focus: Manual focus, you must manually touch the screen to select the area you want to focus. Adjust the screen brightness: Brightest' darkest and unchanged. 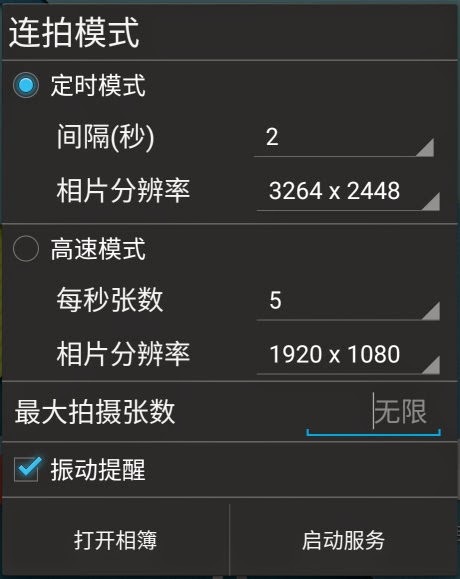 Touch Shooting: If enabled, click on the screen will take a single shot. Menu: Share this app, ratings, help and Email to me. 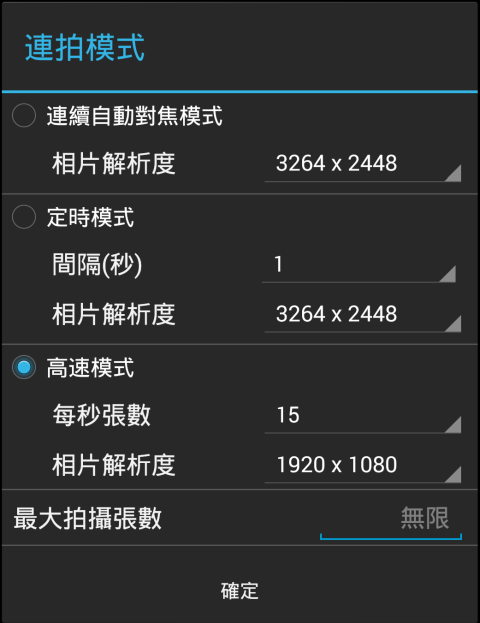 Continuous auto focus mode: AF success will shoot a photo. 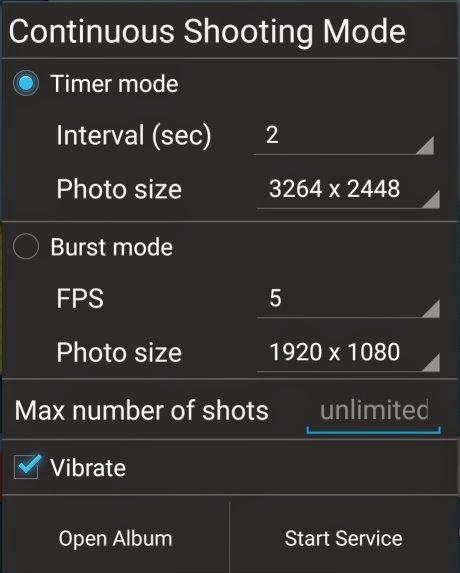 Timer mode: Fixed time shooting a photo. Minimum 0.5 second, maximum 60 seconds. 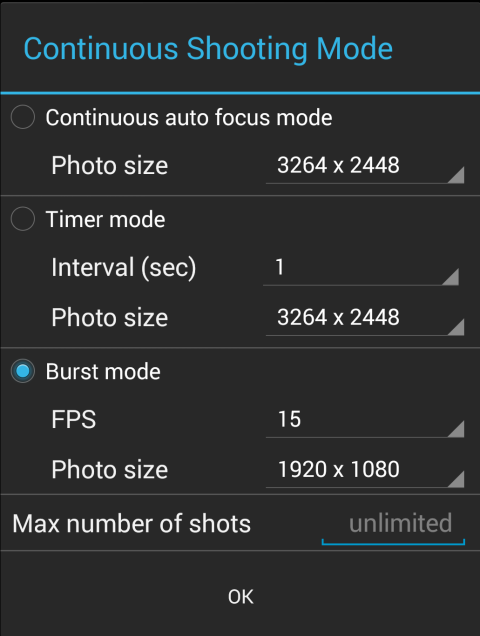 Burst mode: Highest 30 frames. 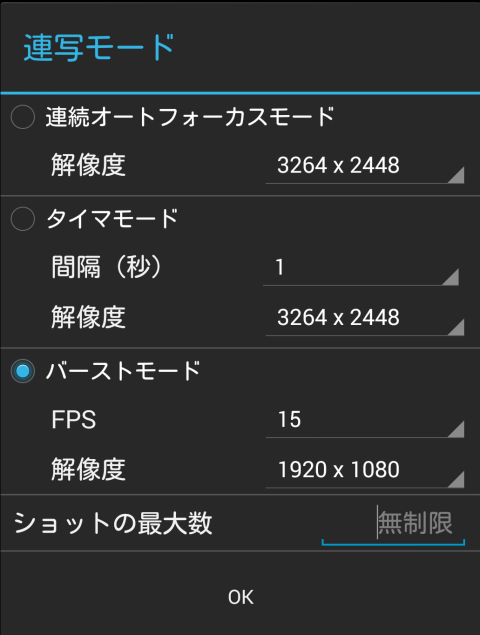 But the actual result depends on the camera performance. Max number of shots: Will stop shooting if reach the number. The default is unlimited. 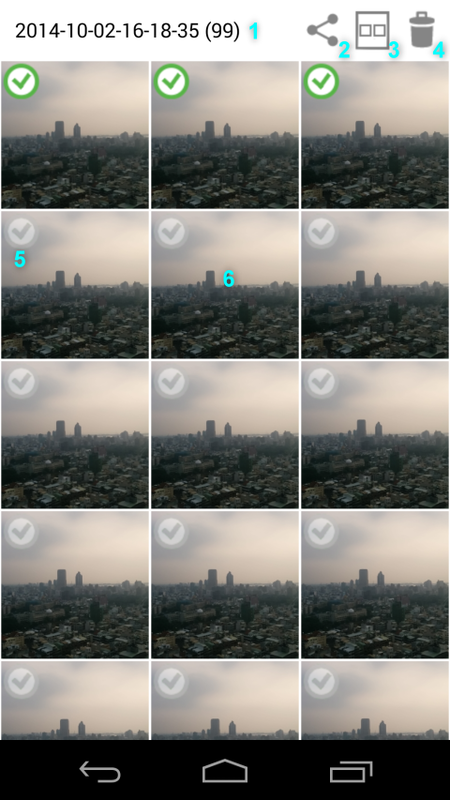 Continuous shooting mode album. Album name is the date and time of shooting. Single shot mode album. Store photos taken on the same day. Album name is shooting date. Establishment of an animated GIF or MP4 videos. Click photo to enter the single view mode. Switching visible sheets per row. Delete the selected photo. If there is no selected will delete the entire album. Click the icon to select the photos. Slide left to see next photo. Slide right to see previous photo. Use two fingers to zoom photo. Apply color filter: You can apply to the original photo, or apply to the new photo. 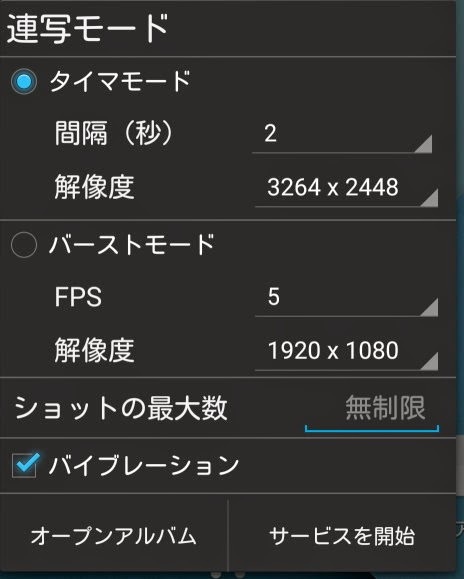 Click the icon to select photo. Sliding around to browse photos. 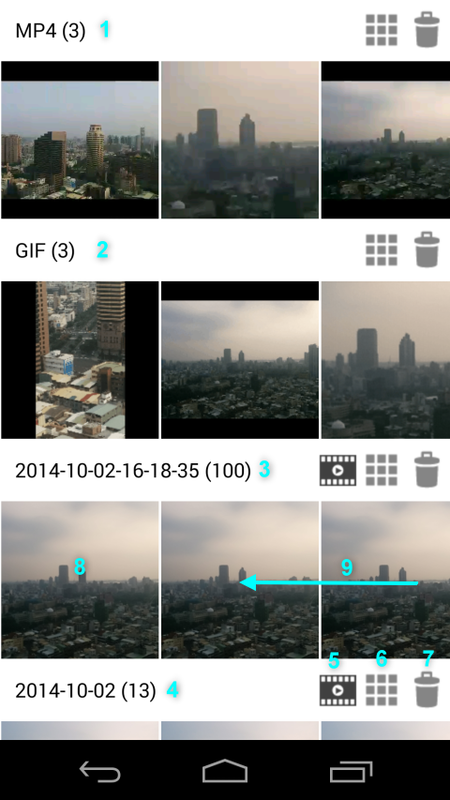 Apply color filter to animated GIF and MP4 video. Vibrate: Once every two seconds. 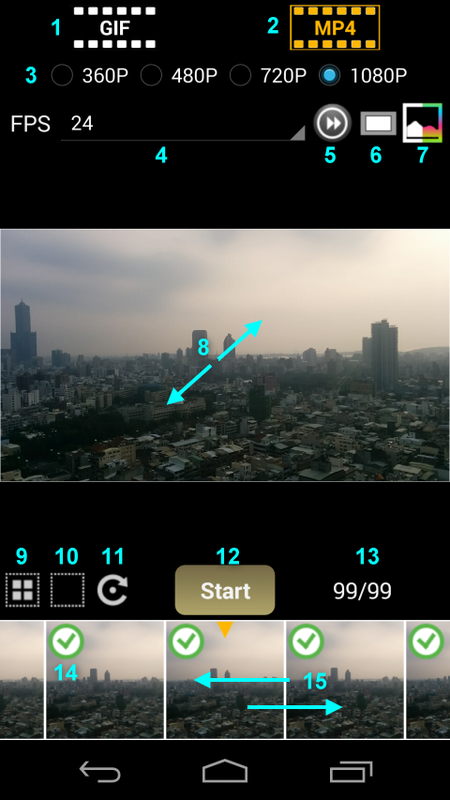 Start Service: After starting the service, you can use the volume button to start shooting.